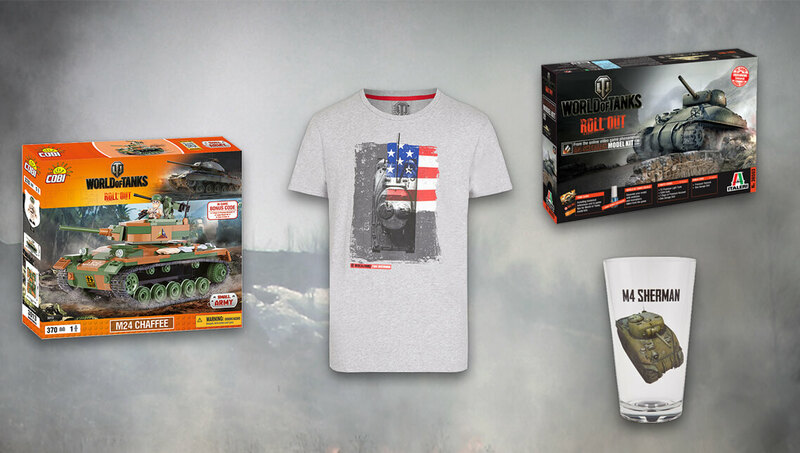 World of Tanks news » Wargaming Store: American-Sized Deals! While the American Challenge rages on, what better way to show the world your American can-do spirit than with some sweet Wargaming merch? Our pals at Wargaming EU are ringing the Liberty Bell with 50% off select American-themed items! Make Uncle Sam proud with T-shirts, scale models, pint glasses, and more. Spend more than €150 Euros (approximately $169 USD as of this writing) and we'll throw in free shipping! Note: All prices are subject to international exchange rates. This offer is for NA residents only. Terms and conditions apply. This offer ends17 April at 21:59 UTC. Head over to the Wargaming Store and salute the Red, White & Blue!